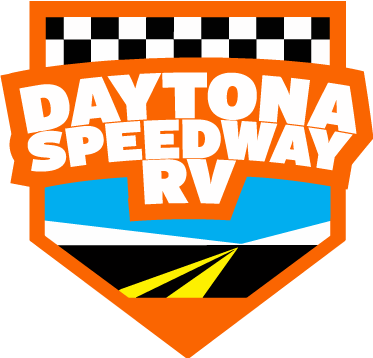 Daytona Speedway RV | – Close To The Beach and The Speedway! 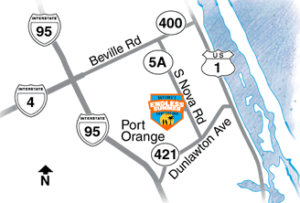 Close To The Beach and The Speedway! 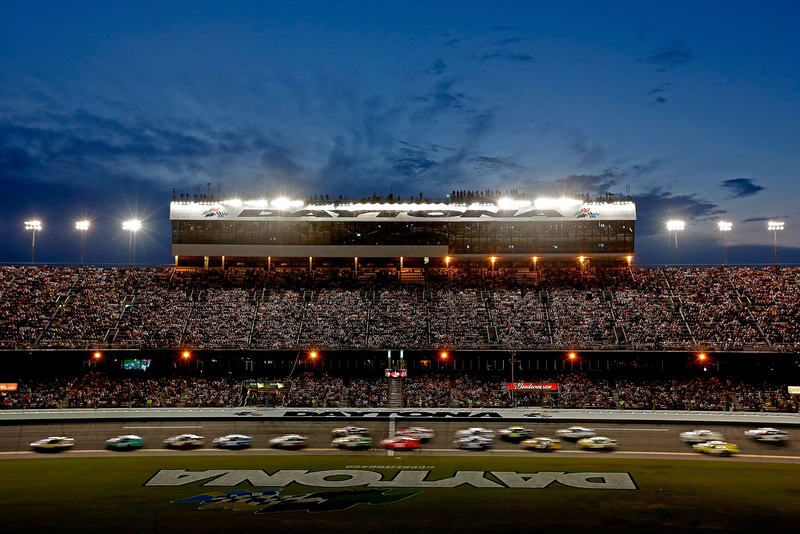 When it comes to being able to enjoy the wonderful nature that surrounds Daytona, many don’t expect to be able to enjoy both the Speedway and the serenity of nature. 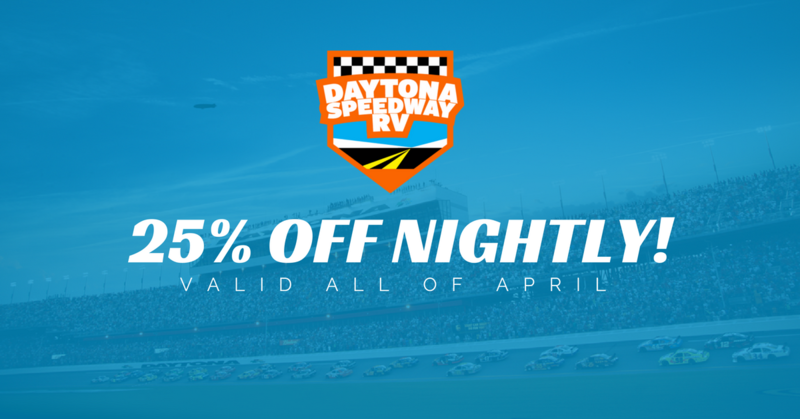 At Daytona’s Speedway RV, we manage to do just that. 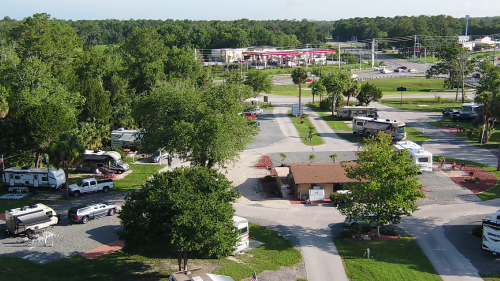 With a blend of fantastic camping that keeps you out of the limelight and away from the madness of the city, but still being close to the Speedway, we make it easy to get the best of both worlds. 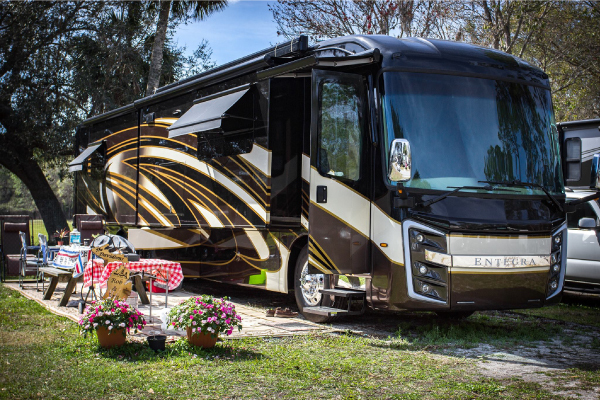 Speedway RV gives you the perfect combination. Enjoy the luxury of nature while getting to take part in one of the most momentous sporting events on the calendar. 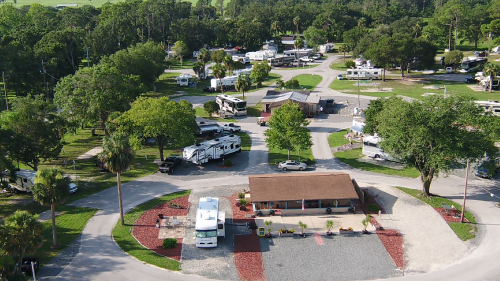 Let Speedway RV be your launchpad for experiencing Daytona Beach. 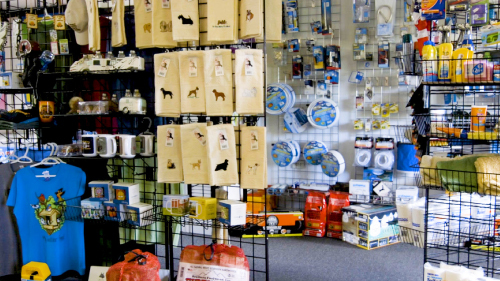 We can accommodate your needs with our 80′ pull-through sites. 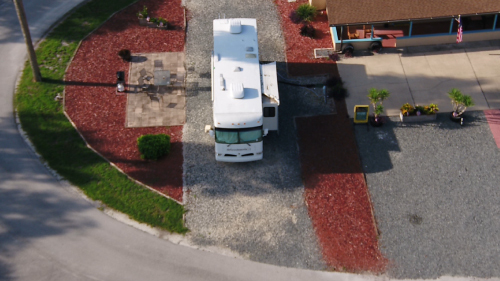 Each site comes with cable TV hookups as well as wireless internet. Firewood and propane available for guests to purchase. 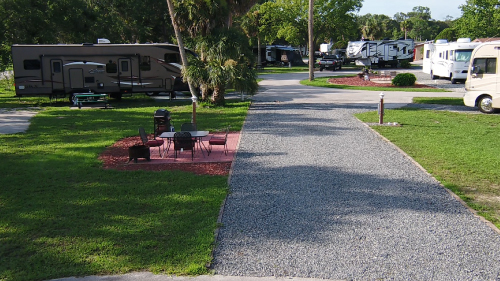 Campsite Rental: Check-out time is 11:00 AM. If you plan to extend your stay, please come to the office and make arrangements as soon as possible. No refunds will be made on paid campsites. Please leave your campsite neat and clean when departing. Please park in your designated site only. No more than 6 people plus 1 vehicle per site. Children Under 14: Must be accompanied by an adult at all times in all recreational areas. Laundry Facilities: Change and detergent are available at the store. Campsites: Do not cut through other campsites. No clotheslines. No dumping of gray or black water on the ground. No portable containers allowed. No appliances of any type allowed on patio. Outdoor furniture only permitted on patio. No motorized vehicles on patio. Garbage: All trash must be bagged and placed at roadside. 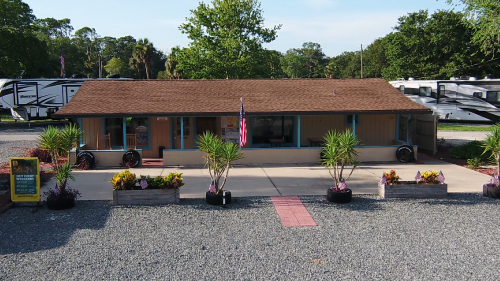 Our staff will pick it up for you. Please don’t put trash past 5:30 PM or before 8:00 AM. Quiet Hours: Quiet time is observed from 10:00 PM – 7:00 AM. Strictly enforced. Voices and noise must be at a minimum during these hours. Vehicles: The maximum speed is 10 MPH. One vehicle per site. No utility trailers on site. Visitors: Campers are responsible for their guests. All visitors must be registered at the office. No visitors allowed after 11:00 PM. Any and all individuals not included in your reservation are considered visitors and are subject to the visitor fees. Pets: Pets are welcome. Pets must be under control at all times and never left alone. They must be leashed and owners must clean up after their dogs throughout the park. No outdoor kennels. 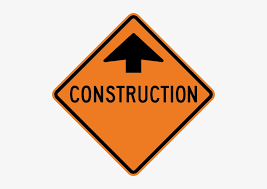 In addition, we will not tolerate: Loud noises, fighting, abusive language, drunkenness, disturbing others and speeding (speed limit is 10 MPH). No fireworks or ground fires allowed. Wristbands: required to be worn by ALL campers during special events. No wristband NO entry. 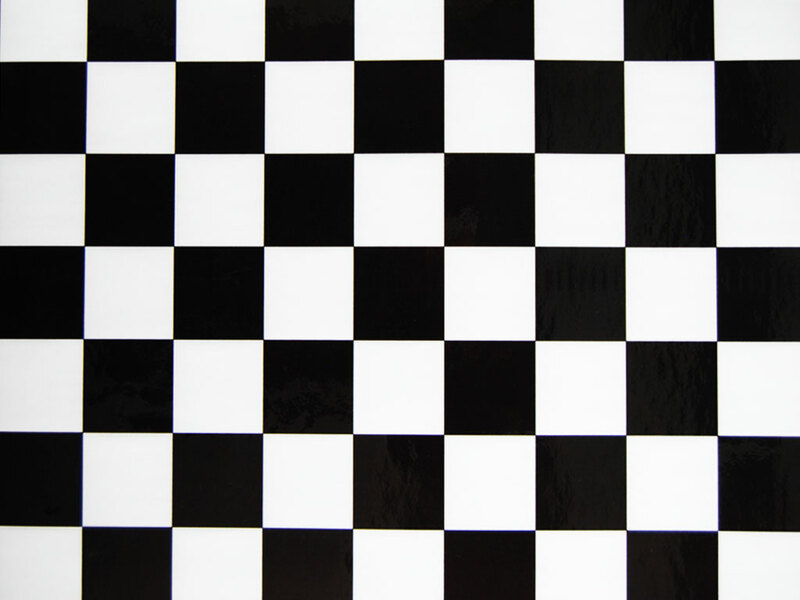 Looking to get closer to the action? 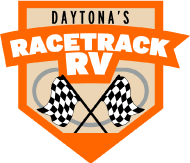 Our other location, Racetrack RV, is right across from the speedway! Those who miss these exits should take exit 265 and use LPGA, then go west to Tomoka Farms Road until you get to the campground.